The Marvel Chess Collection is a bi-weekly series featuring some of the greatest Marvel characters. 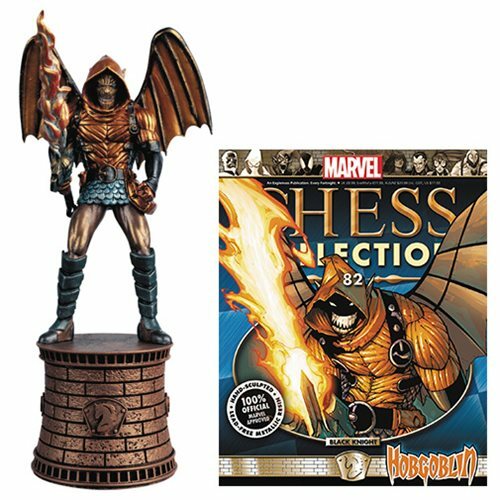 The Marvel Kraven The Hobgoblin Black Knight Chess Piece includes an illustrated Collector Magazine #82 detailing the Amazing Spider-Man character. Chess pieces measures approximately 5-inches tall. Ages 13 and up.